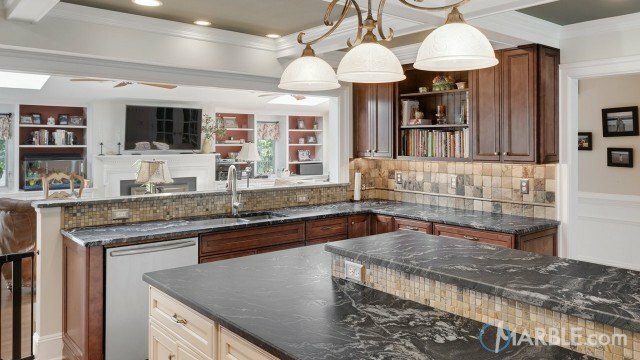 Oscuro Mist granite is a black granite from India with long, consistent white veins. 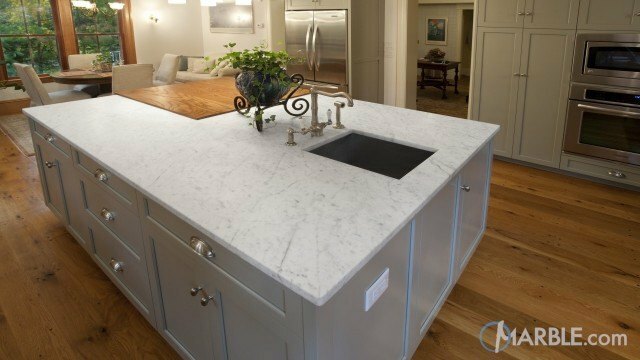 This stone makes a beautiful counter top for any kitchen or bathroom. It is also fantastic as a fireplace surround, bath surround, bar top or outdoor kitchen counter.